Here is your Taurus Horoscope for December 2018. Every month, you will find at WeMystic the astrological forecasts for your zodiac sign. December will be a favorable period in sentimental matters for the natives of Taurus. Trips and activities as a couple have a positive outlook (Venus in the VII House, starting on 12/02 and the Sun in the IX House starting on 12/21). Celebrations for formal commitments will be announced (Juno in its direct phase in Taurus after 12/23), and there will be a general air of understanding and a renewal of confidence (New Moon in the VIII House on 12/07 and Mercury in its direct phase in the same location, from 12/12). On the other hand, the beginning of the direct phase of Chiron in the XI House of Taurus (12/09), will send the natives of the sign to meet with their oldest and dearest friends. It is a period of reconciliation and good will. 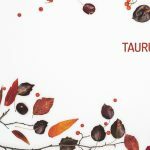 The finances of the sons and daughters of Taurus will remain stable during December. The presence of the Sun in the VIII House of the sign (until 12/20) indicates economic support from your partner and close relatives. However, let’s not forget that Mercury was in retrograde in this location (VIII House of Taurus) in the month of November and that it will then return to transit through the same area, in its direct phase, starting on 12/12. Additionally, the New Moon will also be in Sagittarius on December 7th and it will touch the VIII House of Taurus where, besides the passage of the Sun and Mercury, the asteroid Psyche will be passing (until 25/12). The transits of Mercury past the VIII House of Taurus (in its retrograde and direct phases) refer to a project that involves your birth family, or that of your in-laws, which must be analyzed and discussed by everybody involved before reaching a final decision. On the other hand, the presence of Psyche is a reminder that there is a pending matter in terms of trusting others (learning to delegate, giving up control), and showing your vulnerable side, without considering it a failure (needing help does not make you less capable). Finally, the New Moon on December 7th will channel energy into a renewal of shared responsibility (trust) and perhaps even making the leap to venture out of your comfort zone (taking risks as a couple or family). In the workplace, Pallas in the VI House of Taurus signals the delivery of assignments, dedication to personal projects, and an efficient use of time dedicated to productive work. The entrance of the asteroid Vesta into the X House of Taurus (12/01) indicates a spiritual bond with your true vocation, perhaps you will feel called to share your knowledge with others or dedicate yourself to a passion. This decision will not be exempt from conflicts (remember that Lilith is also in the X House of the bull), but the encounter with the dark side is a crucial step in the process of self-knowledge. Questioning why you make certain decisions and discarding alternatives is a way to remove unknowns, make you aware and empower you on the path you decide to follow. One aspect that you must take into account at this time of year, is the entry of the Sun into the IX House of Taurus (12/21), where the South Node of Karma will also be located. The South Node is connected to circumstances that we must overcome, and with the arrival of the Sun in the IX House of Taurus House, what needs to be changed and is preventing you from moving forward will be more evident than ever. When we reference the IX House, we are talking about academic or professional processes (perhaps learning a new language), actions that you have avoided doing due to a fear of the results (publications, international procedures), and the revision of your life philosophy. Do not forget that Saturn and Pluto will also be present in the IX House of Taurus, that is, any change will not be easy, since it will require discipline and structure to reinforce. Venus, the ruling planet of Taurus and Libra, will culminate its passage through the VI House of the bull on December 1st, so it is a good idea to avoid overeating, especially desserts (watch out for a the possibility of food poisoning). Fortunately, the asteroid Pallas will be present in this sector of the astral map (VI House of Taurus), which favors prudence and analysis as opposed to compulsive behaviors. For example, you may feel driven to fill emotional gaps or compensate for frustrating situations through eating food or buying objects as if there were no tomorrow. The presence of Pallas in the VI House of Taurus, gives the natives of this sign the ability to control themselves in the face of these issues, and to deepen what they are really hiding behind this type of behavior (the true triggers). This does not mean that you should not eat or spend as you wish (it is practically impossible to resist a Taurus when they insist on something), but you will do so while being aware of the process (and once you are aware, you can not be indifferent). Another transit that you must take into account during this time of the year is the retrogradation of Uranus in the XII House of Taurus. This transit can lead to difficulties falling asleep (nervousness, insomnia, sudden awakening). It is advisable that you reserve a time for relaxation and rest (and respect it). Try to go to bed and get up at the same time; decrease your intake of foods high in fat, sugar and seasoning during the night (especially before bedtime); unplug electronic devices; and cultivate habits that induce a state of tranquility. The beginning of the direct phase of Juno in Taurus, starting on December 23rd, will invite the natives to commit to their own welfare through actions that will have long-term results, even if it means sacrificing immediate satisfaction.